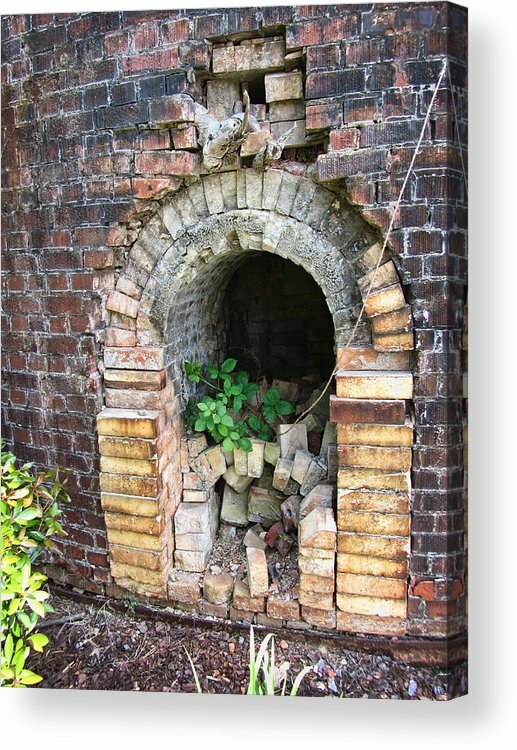 Old Antique Brick Kiln Fire Box by Kathy Clark - 6.000" x 8.000"
Old Antique Brick Kiln Fire Box acrylic print by Kathy Clark. Bring your artwork to life with the stylish lines and added depth of an acrylic print. Your image gets printed directly onto the back of a 1/4" thick sheet of clear acrylic. The high gloss of the acrylic sheet complements the rich colors of any image to produce stunning results. Two different mounting options are available, see below. There are no comments for Old Antique Brick Kiln Fire Box. Click here to post the first comment. 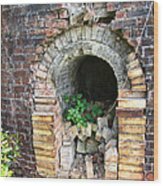 This is a one of the fireboxes on an old historical brick kiln at the marina in Decatur Alabama USA. 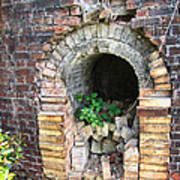 This oven was used in the 1800s and early 1900s to dry native red clay bricks for building materials. It is in dis-repair now, but is supposed to be restored in the future. It is domed, or behive shaped and has these fireboxes at regular points around the outsid to keep the tempature even.